I was at a restaurant eating dinner with a friend and the phone started to ring. I never heard the phone ringing because it was on silent. My phone was buried in my purse at the bottom and I was wrapped up in engaging conversation, background music playing and a fragrant candle burning. I discovered later someone was trying to reach me. Four missed calls but no voice messages left by the caller. It was a scary moment on both sides and when we finally connected, we were both asking the same question, Is everything alright? It was my mother, she was concerned, really concerned about me because I had mentioned to her I wasn’t feeling well the day before. She could not get a hold of her daughter, her baby girl. She began to think something bad happened and it was very scary for her to think I wasn’t doing alright. I reassured her I was ok and I explained what happened with my phone. I thought how scary it must be when we can’t reach people we care most about. The mother who couldn’t reach her little boy after he fell in with the gorilla knows that was a scary moment regardless of what has been said about her being negligent. The fact is mothers and fathers who can’t reach their children is scary. Very scary. God, our heavenly Father doesn’t have these type of scary moments with us. Nothing we do frightens Him. God knows where his children are and although we may go silent, drift away , turn off and ignore Him at various times in life. He knows exactly where we are and is always right there to answer our question that everything is and will be alright. 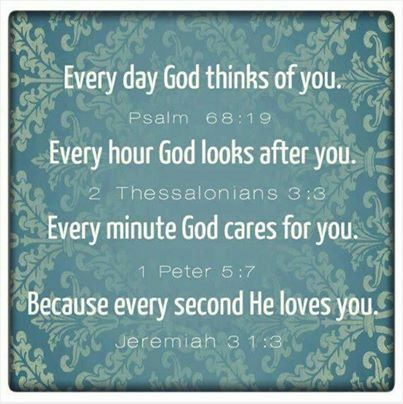 Thank God for His care, concern and most of all His love. Thank you. Yes! It’s so reassuring God is right there. He always knows where we are, even in the scary moment. Praise God! All I can say, is my spirit is lifted while my eyes fill up with happy tears. A scary moment is an expressed truth, and it is a common reality that reminds us that God’s eye’s are on each and every one of us. Even when we are lost of ourselves, by His grace God helps us to find ourselves. What a mighty God we serve! Thank you for this lovely reminder, as stineharv said! It’s reassuring.